I grew up in Southern California and have loved the outdoors all my life. I hunted and fished since I was 5 years old. I can still remember the hunting trips with my dad and his hunting buddies. The memories of us sitting around the campfire playing their guitars singing Marty Robbins songs and the smell of salt pork, pork & beans, and hoecake on the fire will be etched in the archives of my mind the rest of my life. When I became older I would take off to the hills with my hunting buddies or just, my rifle, my dog and me. I would be gone for days at a time. I felt more at home in the hills then I did at home in the city. It didn't matter what I was hunting as long as it was in season and if nothing was in season I went fishing. But it gave me an excuse to get out in the hills. The best part was sitting by the campfire listening to nothing but piece and quite, except for the coyotes off in the distance and the smell of steaks cooking on an open fire. As time went by, it was time to settle down. Found myself a little lady and got married. We had three kids, two boys and a girl. As a family we would go camping and when the boys got older I would take them on hunting trips with my buddies and me. I handed down to them what was handed down to me by my dad. Now my kids are married and have kids and they are passing the love for the outdoors on to them. As I sit around the campfire with my boys and grandkids I can only imagine what was going through my dad's mind. 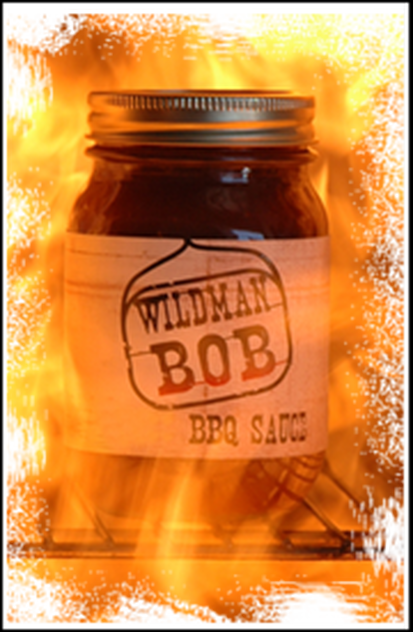 ​ I came up with my line of B-B-Q sauce because I had a dream, not the kind of dream you have when you grow up and want to make something out of your life. It literally came to me in a dream. So I woke up and wrote the recipe down. That morning I got up and made me a batch of Hickory B-B-Q sauce. I have to admit not only did it smell good, but had a taste all of it's own. ​ As time went by, friends told me that I should enter my B-B-Q sauce at the County Fair. So in 2004 I did just that. I entered it in the Orange County Fair and it took 1st place. Over time I came up with different varieties of sauces that would enhance in natural flavor of the meat and would work with chicken and fish as well. After I accomplished that I came up with my seasoning rub that can be put on meat, chicken and fish. 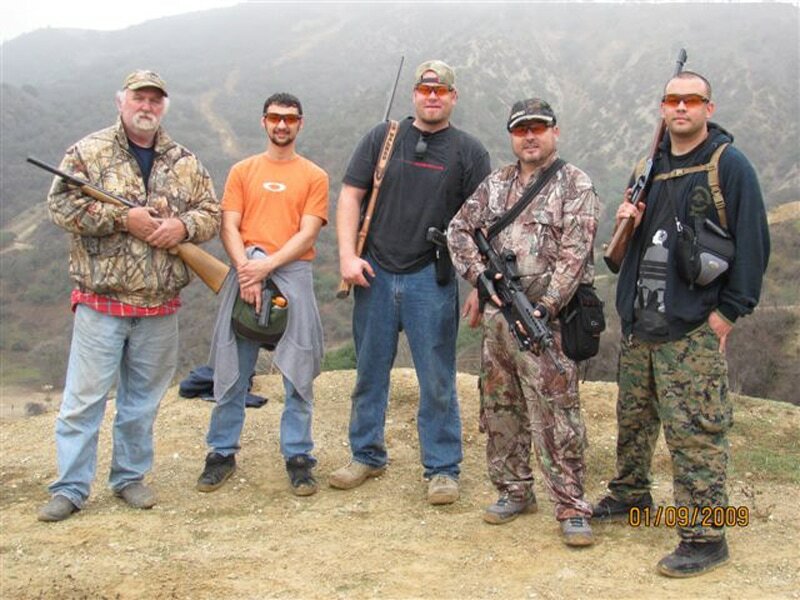 I do a lot of hunting at a place called Big Horn Canyon Ranch in Moreno Valley, CA. 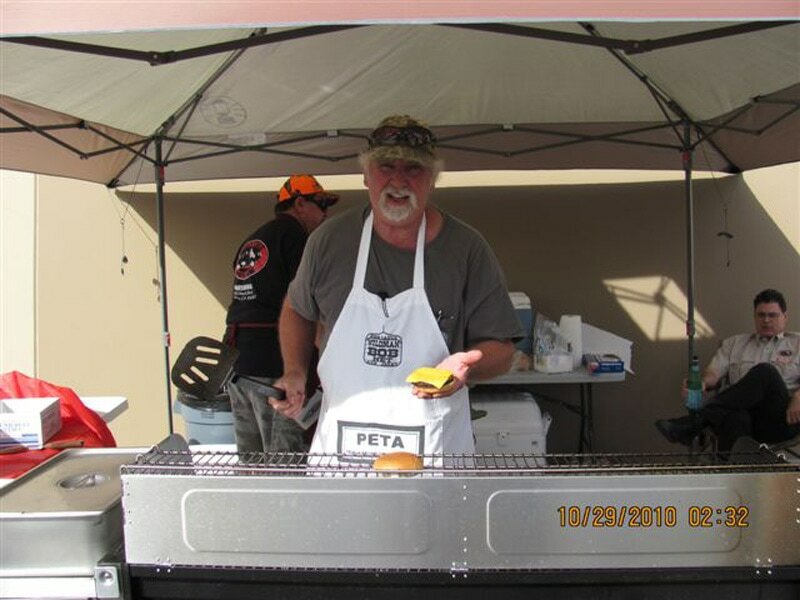 Where I also have the opportunity to mingle with other hunters that come from all over to hunt and buy my sauces and rub.